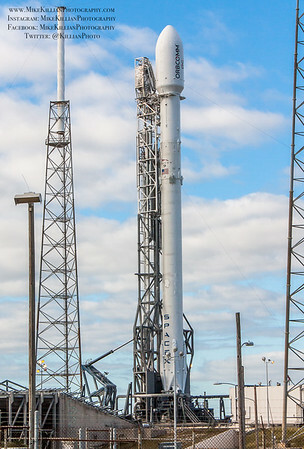 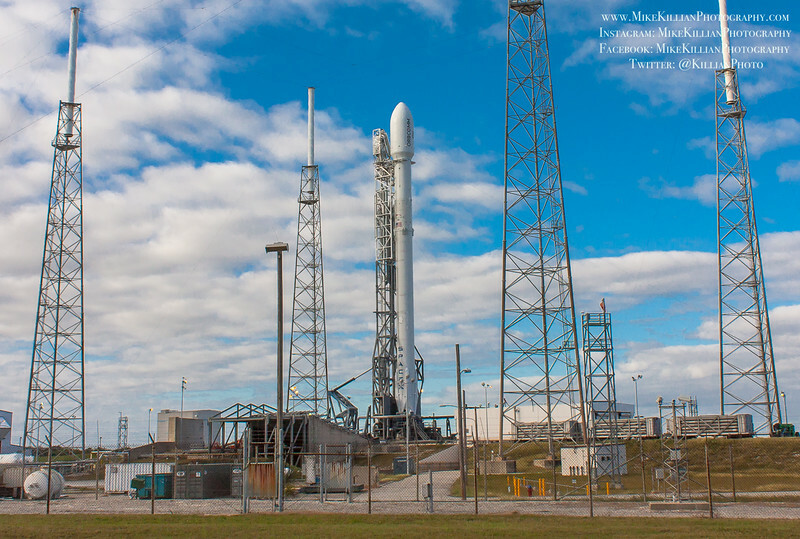 SpaceX Falcon-9 "Return to Flight" Dec 21 / Cape Canaveral, Fla., SpaceX's first launch since the loss of their mission to deliver supplies to the ISS for NASA last summer. 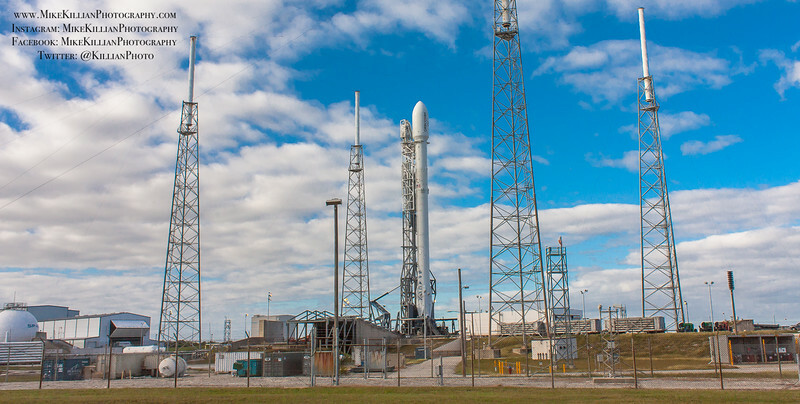 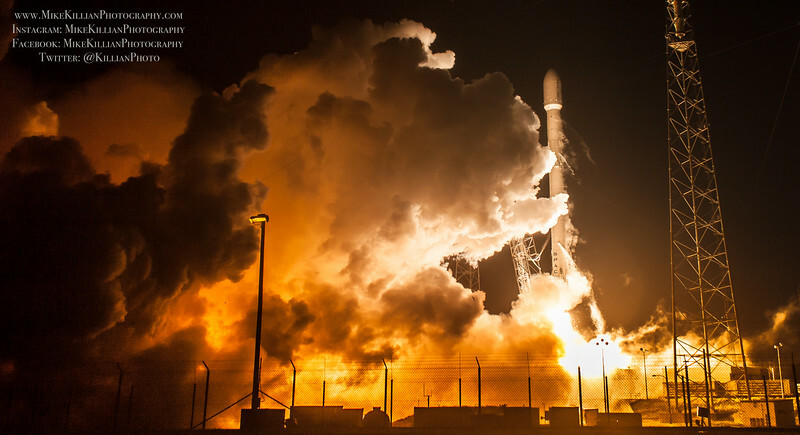 Delivering 11 ORBCOMM "OG-2" satellites to orbit was the mission, but as a secondary objective SpaceX attempted to land the rocket's first stage booster on a bulls-eye on the Cape. 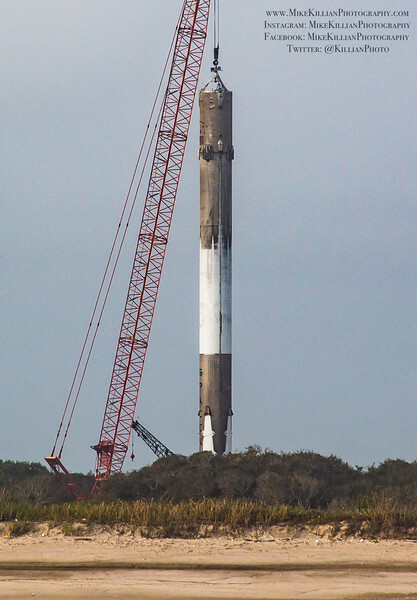 Stabilizing the 150-foot-tall rocket stage in flight—traveling at nearly 3,000 mph at separation—is like someone balancing a rubber broomstick on their hand in the middle of a fierce wind storm. 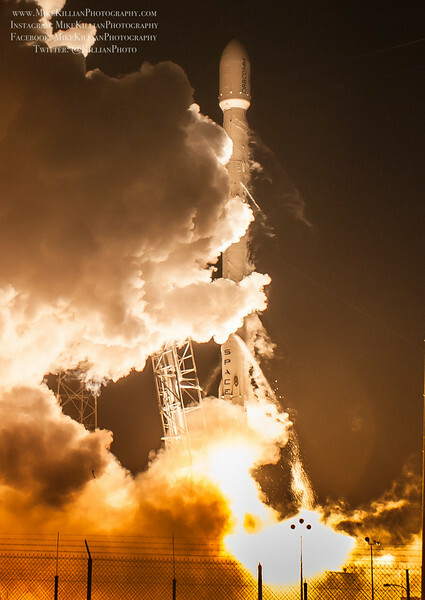 Launch was flawless, & the plummeting booster, under a controlled descent, hit its bulls-eye near dead center in SpaceX "Landing Zone-1" (formerly Launch Complex-13). 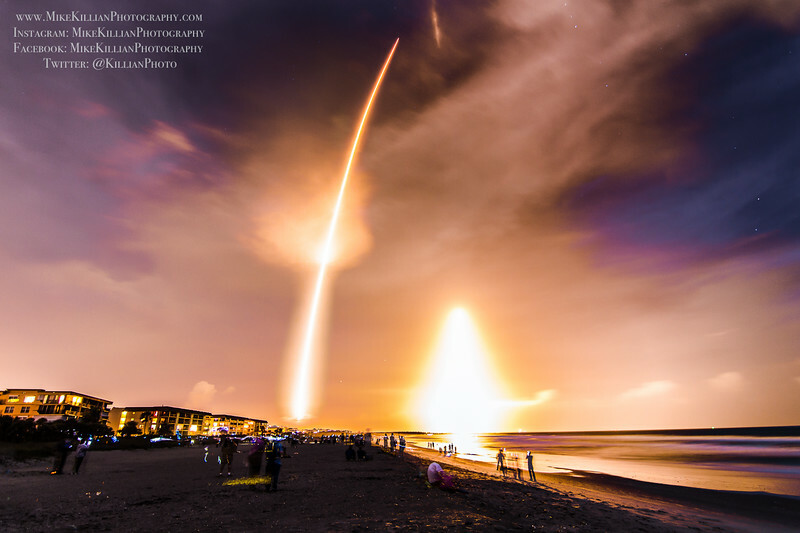 All photos copyright 2015 www.MikeKillianPhotography.com, all rights reserved. 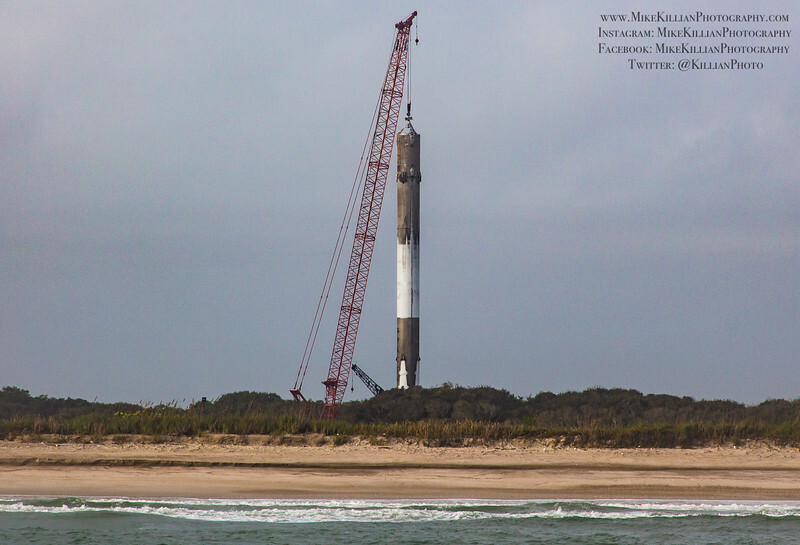 Please contact for use or prints. 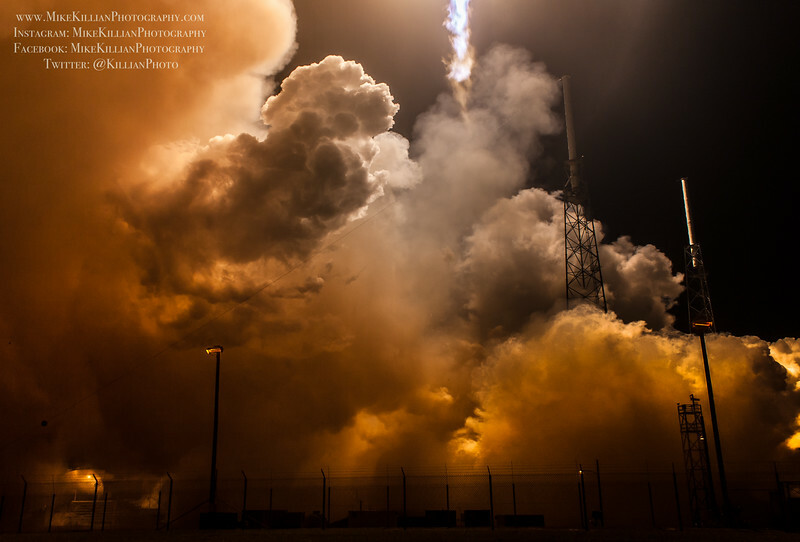 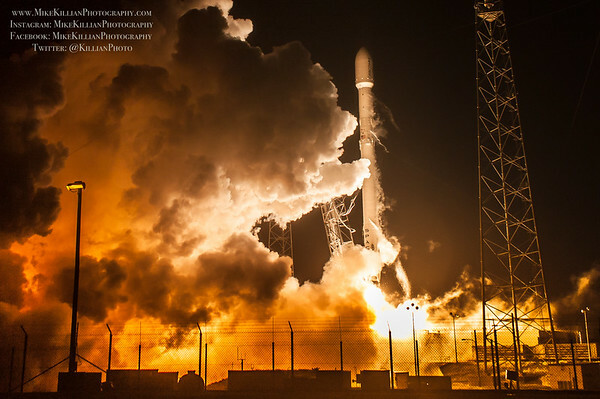 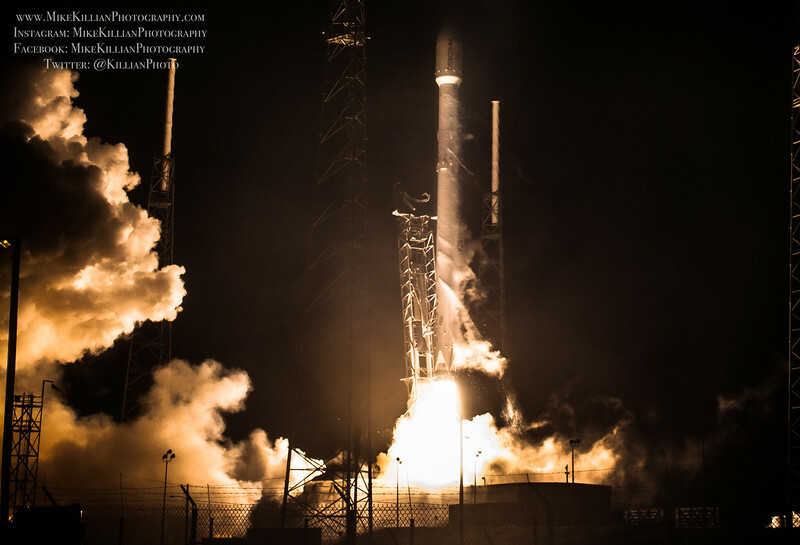 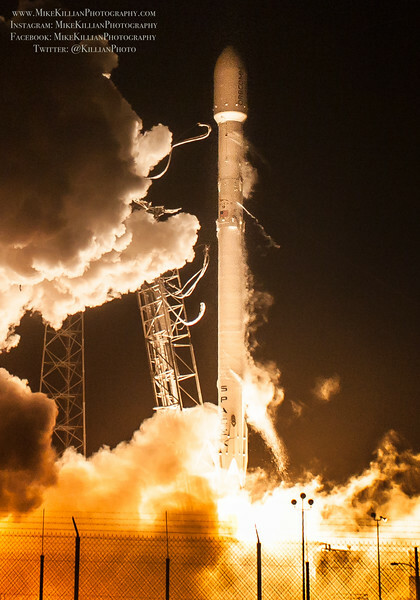 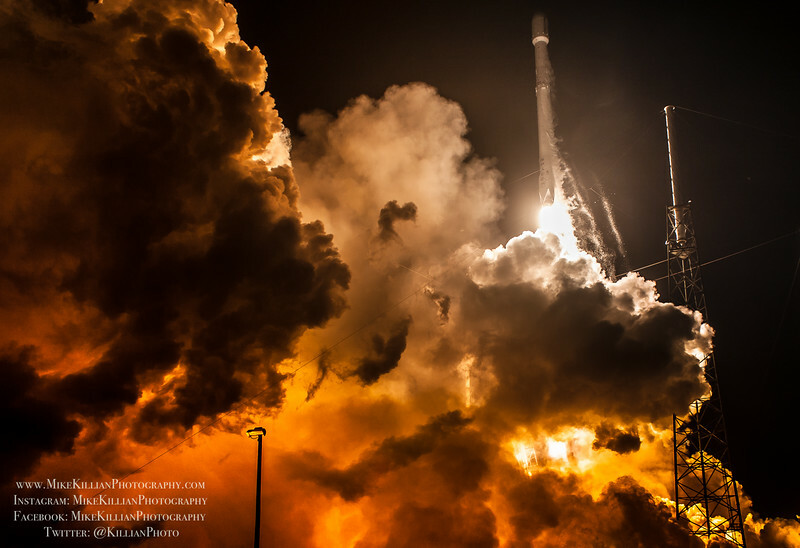 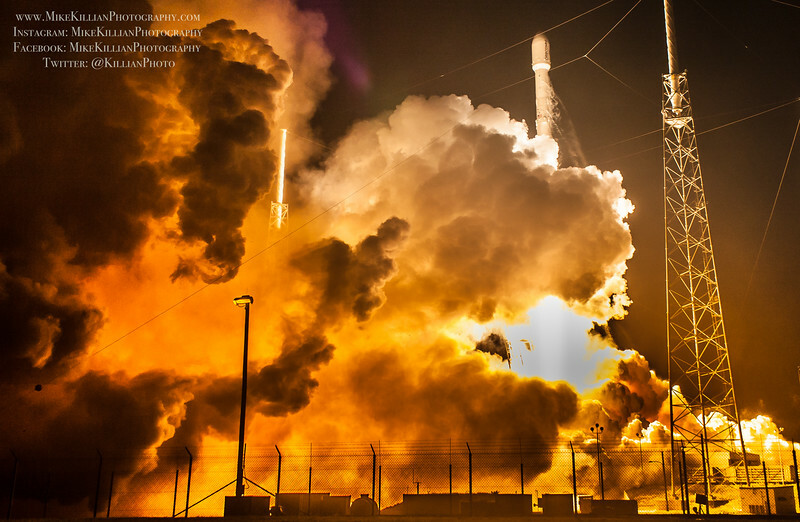 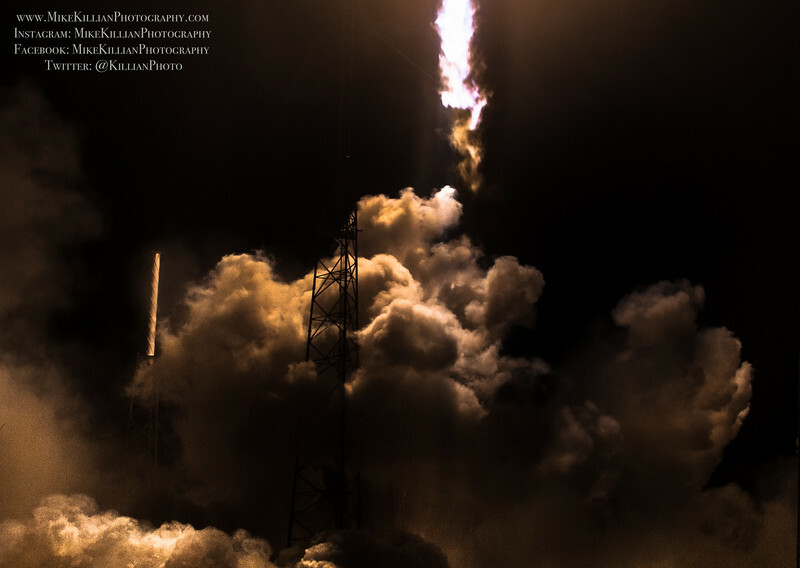 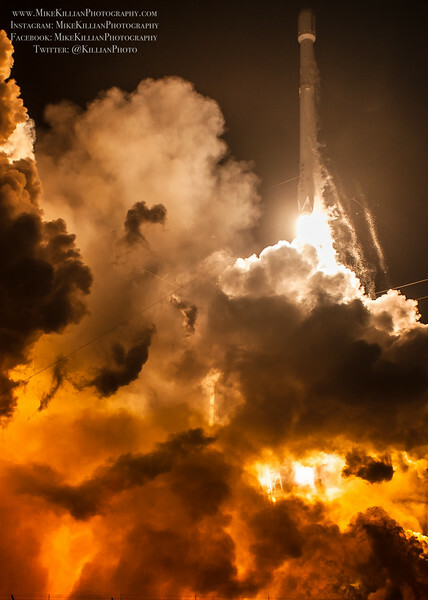 BELOW: SpaceX / Orbcomm OG-2 Mission-2 launch and FIRST EVER landing of a rocket from space at Cape Canaveral.